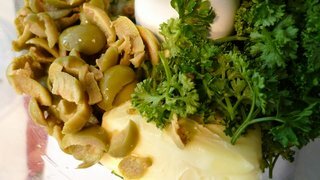 This entry was posted in Uncategorized and tagged cooking, food, newyear'sday, sandwiches, scones, tea by christao408. Bookmark the permalink. That’d be a nice tradition to have. I wouldn’t mind doing that, myself. Although I have to admit I’m more of a PB&J than a watercress kind of girl. I’m terribly uncultured. I’d like to hold the baby. This is a lot better than getting drunk on New Years Eve. I like this tradition. Nothing better than good friends and lovely food. I like tea, and enjoy tea parties. Very nice. It all looks wonderful. Great idea! I love tea and scones. 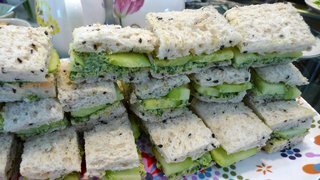 Try to use them for a snack after work with my British Afternoon Revival Tea. 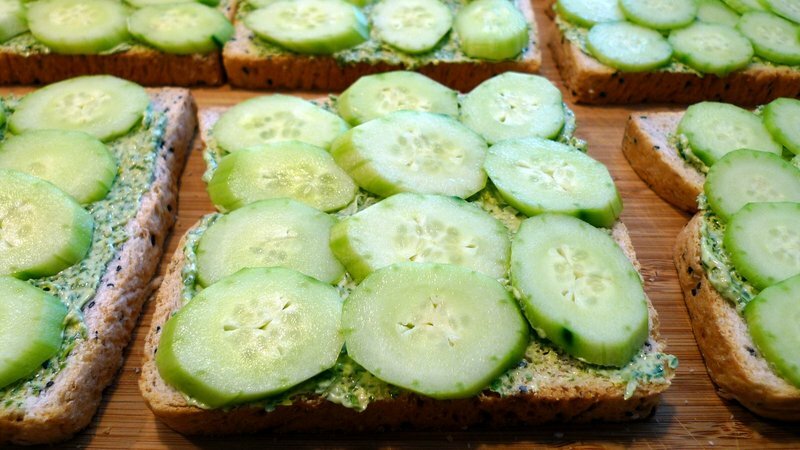 Love cucumber sandwiches! I need to make new friends who throw parties like this. 🙂 The food looks wonderful. I’d like to make tea sandwiches and bake scones and start my own tradition now. Gosh it all looks so good! We wear hats and gloves to our tea parties, it’s lots of fun! Looks like a great beginning of a wonderful tradition! How fun! Your snacks look delicious. Tea sandwiches are awesome. They make great, quick snacks. 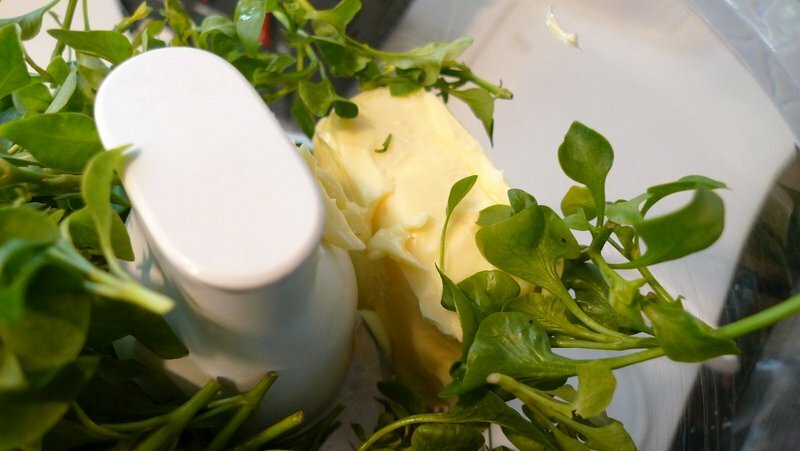 There’s a watercress sandwich with flavored butter that I like. I can’t remember where I got the recipe for it (it might have been Bittman’s How To Cook Everything), but I’ve been meaning to try to adapt the potted shrimp in the book of tea recipes published by HP along its lines. I’ll probably get to it around 2020. Looks amazing – and what a lovely tradition for the start of the new year. 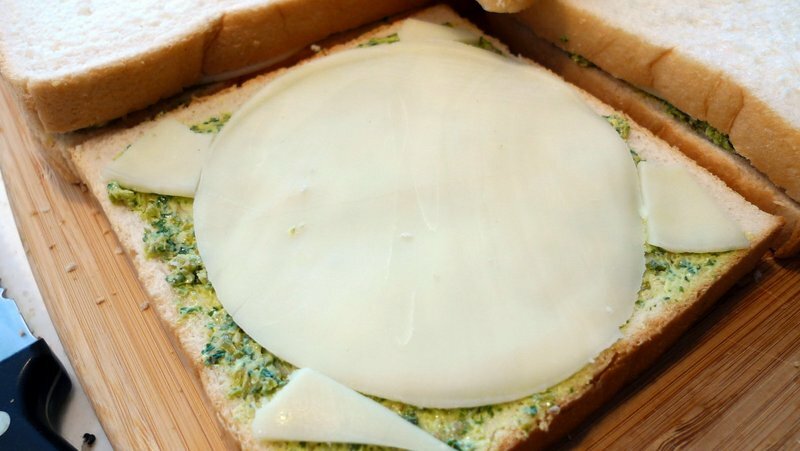 What lovely sandwiches you make. i see SCONES!! omg. i immediately think of HK afternoon-tea. @Devilzgaysianboi – These particular sandwiches have no meat, but you could certainly include meat if you wanted. @n_e_i_l – Thanks for the links. I have Bittman’s book so will have to hunt for the recipe. 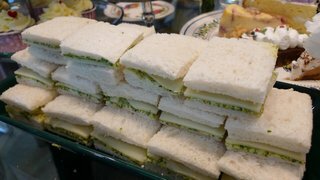 @rudyhou – Next time you are in Bangkok, we will do tea at the Erawan Hotel. @icepearlz – Thank you! @venice – It would make a lovely tradition, wouldn’t it? 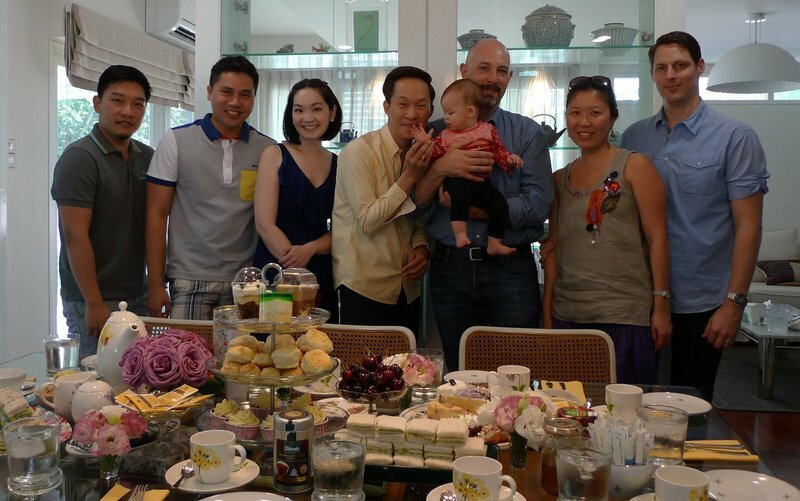 @agmhkg – Don’t drool on the scones! =D@aSeriesofFortunateEvents – Thanks, it was a fun and family friendly way to start the year. 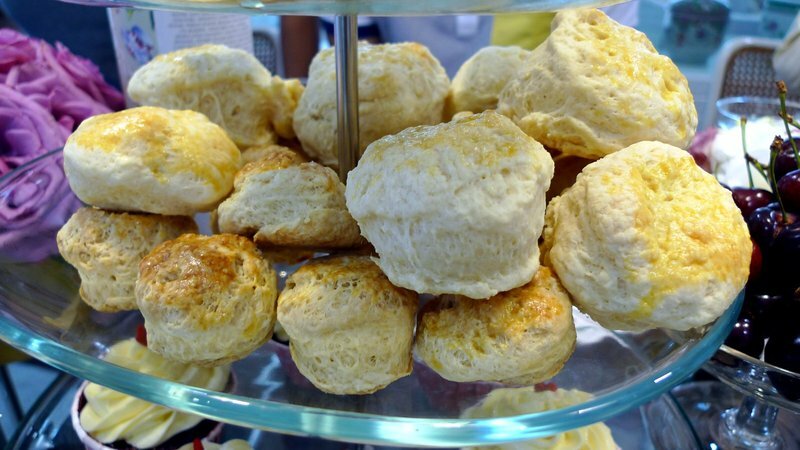 @secade – Of course, it remains to be seen if we actually repeat the “tradition” next year…@SherryAngeLMysteriez – I make these fantastic buttermilk biscuits that a British roommate of mine loved – she said they reminded her of her gran’s scones. Most scones I try are very dry and powdery, whereas I like a nice flaky biscuit. @slmret – Let’s see if the tradition continues in 2014! @mlbncsga – I can imagine that only Tawn would be wearing the hat and gloves! Ha ha! @awoolham – Well, if you were in Bangkok… =P@Fatcat723 – Noting like a proper afternoon tea, right? @Crystalinne – This experience reminds me that we should do tea parties more often. They are fun. @Grannys_Place – Amen, sister. I hope you are both doing well. @ElusiveWords – I agree, Matt. New Year’s Eve has never been a big thing for me. I would much prefer to wake up at a reasonable hour and start the new year refreshed. @CurryPuffy – Not sure where Bim bought them, but they were gorgeous roses. @Inciteful – Then I have been successful. Thanks. @chronic_masticator – I ate PB&J ever day for lunch for the three years of my junior high school. Would have been fun to do that for this tea. Maybe next time!